The Samsung range of M.2 drives has been some of the best performers around, combining blazing speed with reasonable affordability and some truly enormous capacity sizes if you're willing to spend the coin necessary. We all like the fastest possible speeds, and with the original Samsung 960 and the Samsung 970 revision, those high speeds are definitely within our grasp. 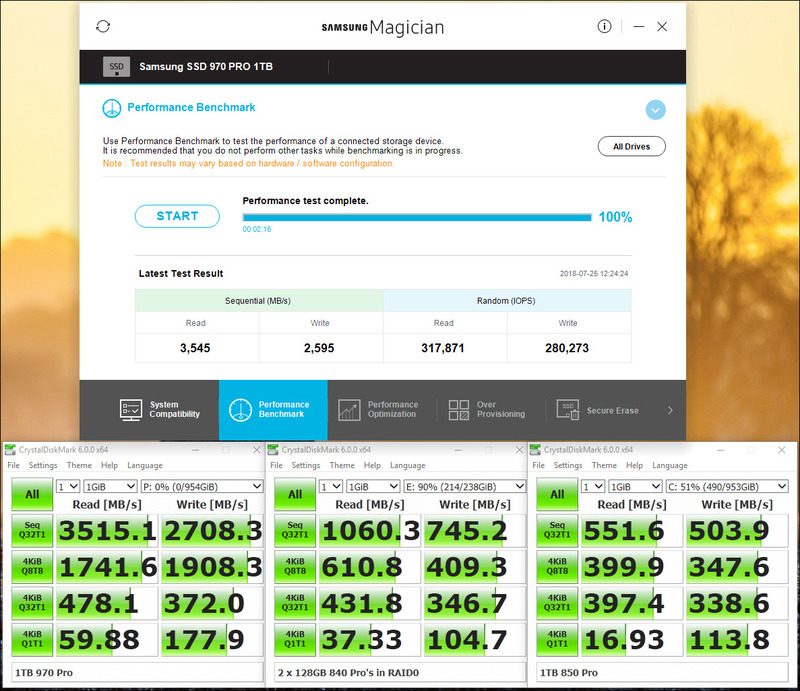 Having already reviewed the 970 Evo and found to be at the top of our graphs in pretty much every test, it's time to take a look at the more affordable 970 Pro and see how it stacks up to both its bigger brother and the other M.2 drives that have come through the offices for testing. Technologically the Pro and Evo are extremely similar. Both utilise the Phoenix controller to maximise transfer speeds. Both have the latest Samsung Dynamic Thermal Guard which combines a nickel-coated controller and an efficient copper-film layered heat spreader to minimise thermal overloading and thus give more consistent performance. It's an area that can, in a poorly ventilated system, have more of an affect upon your transfer speeds than you might imagine, particularly as regular SATA based SSDs hardly get warm at all. Then again, regular SSDs aren't chucking data around at 3000 MB/s. 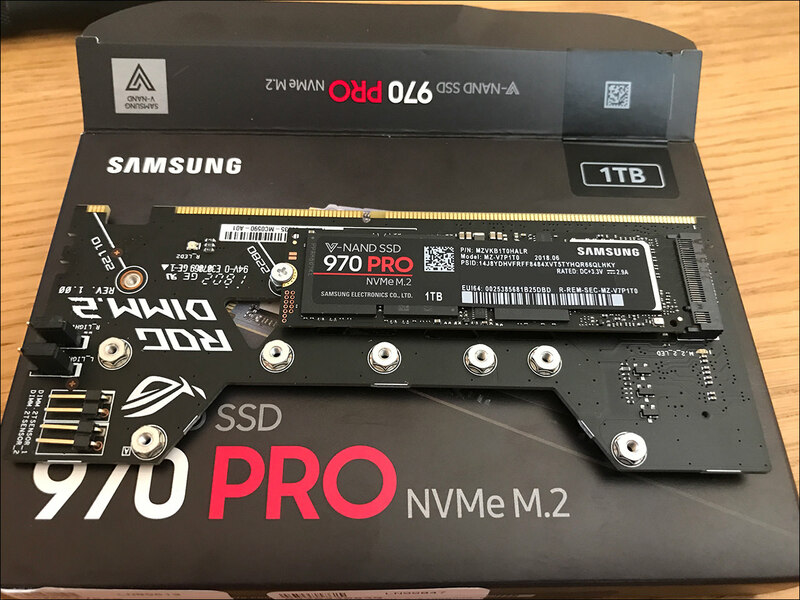 If you've had your head turned by the Samsung 970 Evo, but want one which doesn't require a lottery win to purchase, then maybe the Samsung 970 Pro will be just the ticket. Let's find out. The most obvious change between the Evo and the Pro that we can see is the different V-NAND on the Pro. The Pro utilises 2-bit MLC whilst the Evo has 3-bit MLC. The Evo also has TurboWrite which utilises a large buffer to help speed up write speeds, something lacking on the Pro. Let's be honest though, it's not as if the Pro is exactly sluggish, so if you're upgrading from a normal 550 MB/s SSD to the sunlit uplands of NVMe based M.2, you'll still have your socks blown off.